Here's a rather good O.P. Nayyar score, on which it's apparent why he was often referred to as the King of Rhythm. All sorts of rhythms. 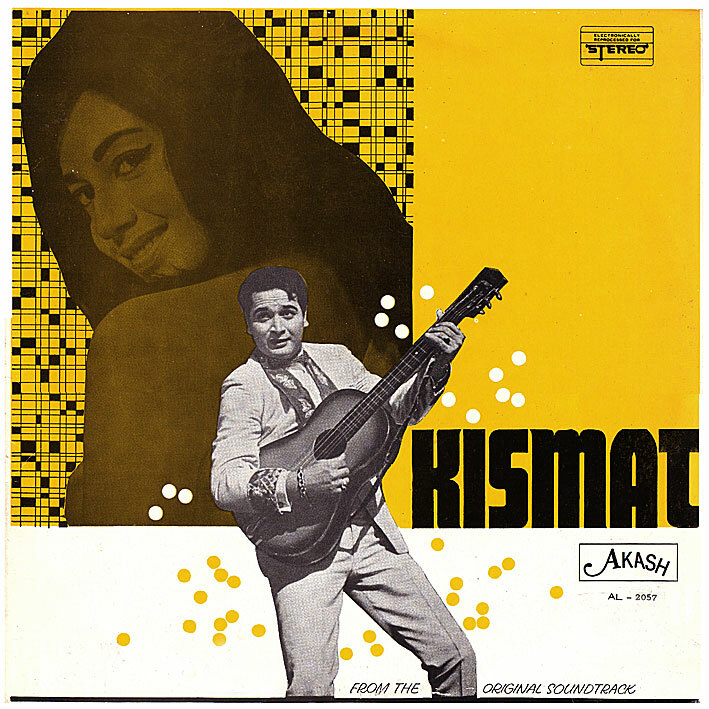 There's not much to dislike on 'Kismat' [review]; highlights include the swing flavoured rock'n'roll number 'One Two Three Baby', the old timey country song 'Lakhon Hain Yahan Dilwale' (featuring, it seems, The Monkees), the tipsily sung lounge track 'Aao Huzoor Tumko', and a fabulous Title Music. An odd pressing incidently; I have no idea where the Akash label came from. Possibly the Netherlands. thanks as always for these treasures! May be first movie after O P, Rafi break up. That's why magic is missing. Magic missing? The film or the soundtrack? Personally I love this score.